Santa Rosa, CA, Apr. 2, 2019 — Kaiser Permanente has donated $500,000 to rebuild the community park in the Coffey Park neighborhood. The 5.85-acre Coffey Neighborhood Park, which was a centerpiece for the Coffey Park neighborhood and surrounding area, was destroyed in the Tubbs Fire in October 2017. Coffey Strong, the City of Santa Rosa, and Santa Rosa Parks Foundation are working together to redevelop the park. As part of the predevelopment process, the City of Santa Rosa conducted surveys and engaged residents in listening sessions to ensure community input is included in the design. The local Rotary Club led a play structure design day for fourth graders from Coffey Park’s Shaeffer Charter School. The children recommended fire-resistant native plantings, a dog park, and innovative play structures such as a fire truck seesaw to recognize first responders. 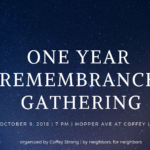 Coffey Strong, Inc., is a neighborhood non-profit organization dedicated to helping residents rebuild their lives and homes in Coffey Park. The neighborhood park has been a cornerstone of recreational activity for the residents of the area for over 30 years. Its reconstruction will not only provide those recreational opportunities again, but also help in the healing process as residents rebuild their lives. The Coffey Park neighborhood park reconstruction is truly a community effort. 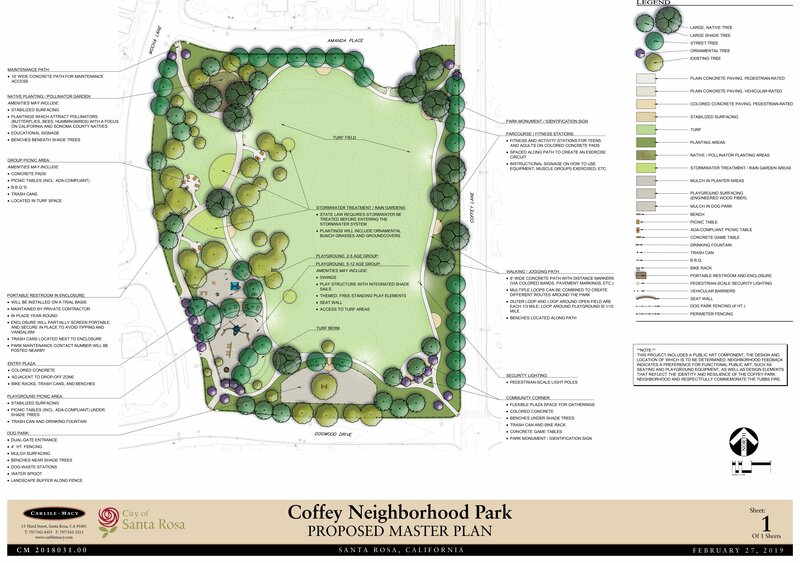 Final public comments on the Master Plan for the Park will be taken at the Santa Rosa City Council meeting on April 2, 2019, after which the Council is expected to make its final design decision. Reconstruction of the park is slated for completion in early 2020. 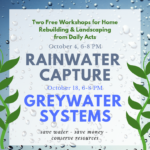 For more information on this joint effort, please visit Coffey Strong, City of Santa Rosa Parks and Recreation Department, and the Santa Rosa Parks Foundation.